There are some cookies that are holiday staples. 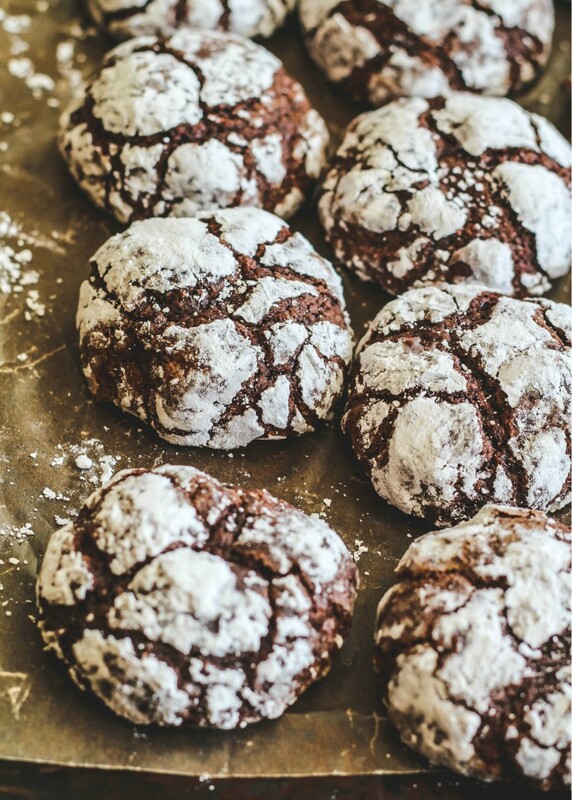 The holidays are not complete unless we make our favorites, like these delightful Chocolate Crackle Cookies! 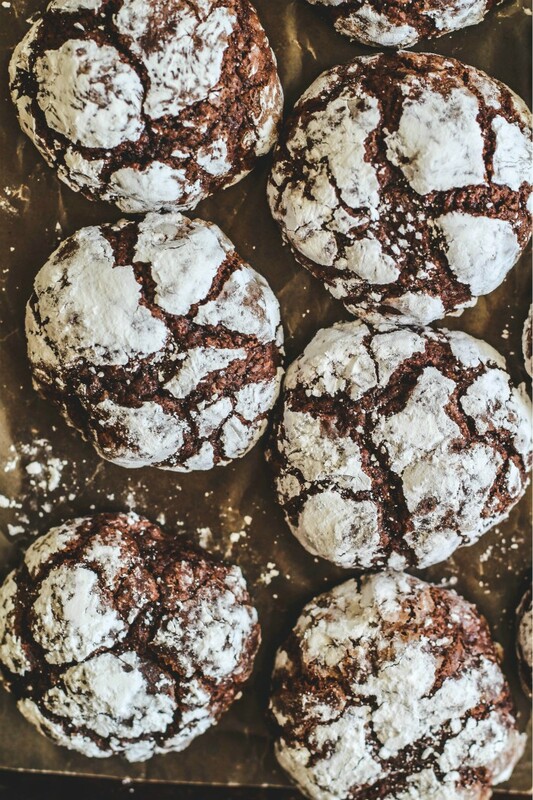 These chocolate crackle cookies (or you may call them Chocolate Crinkle Cookies) are one of these very special cookies. I normally don’t get too excited about chocolate desserts. Apple desserts are my favorite most of the time. But these little cookies are chocolate perfection. We do a lot of cookie baking every holiday. What are some of your favorite cookies to bake? 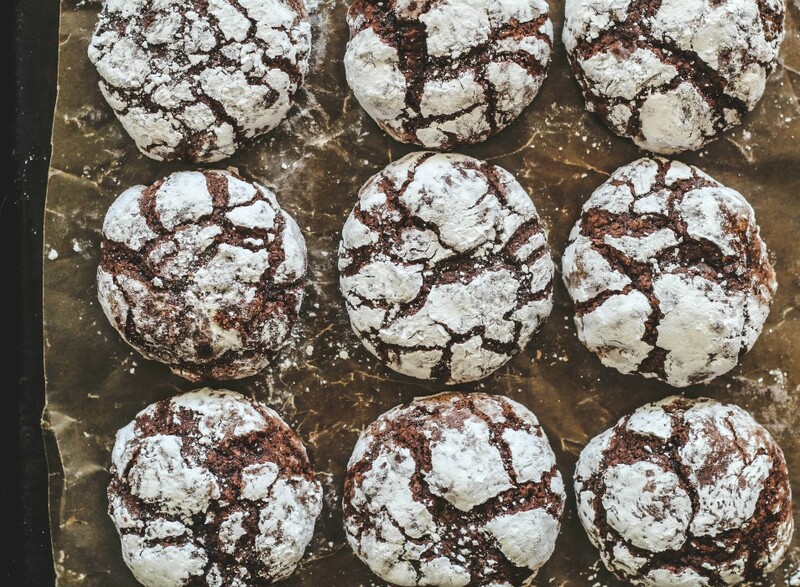 CAN YOU FREEZE CHOCOLATE CRACKLE (CRINKLE) COOKIES? The cookies can be soft or crisp and chewy. It depends on how long you bake them. If you would like to freeze the cookies, roll them into the balls without dipping them in the confectioner’s sugar. Place them on a baking sheet and freeze until they are firm. Once they are firm, store the cookies in an airtight container or plastic bag until you are ready to bake them. 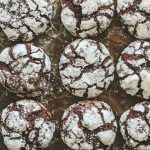 HOW LONG DO CHOCOLATE CRACKLE (CRINKLE) COOKIES LAST? The cookies will keep in an airtight container for up to three days or in the freezer for up to two months. One of our most loved Christmas cookies. Chocolate Crackle Cookies have a brownie like center and a soft crisp outside. Add these delightful cookies to your Christmas cookie tray! 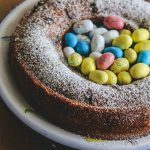 On a clean countertop, roll each portion of dough into a log approximately 16 inches long and 1 inch in diameter, using confectioners’ sugar to prevent sticking. Wrap logs in plastic wrap, and transfer to a baking sheet. Chill for 30 minutes. Cut each log into 1-inch pieces, and toss in confectioners’ sugar, a few at a time. Using your hands, roll the pieces into a ball shape. If any of the cocoa-colored dough is visible, roll dough in confectioners’ sugar again to coat completely. Place the cookies 2 inches apart on a Silpat-lined baking sheet. Bake until cookies have flattened and the sugar splits, 12 to15 minutes. My Mom loves these cookies. There are so many different names for them too. I'll be posting my Christmas Treats late today. Thanks for the post. It must be me I have tried Martha's recipe and they failed me every time… yours are perfection! absolutely perfections! These look freakin' awesome, Lora! Haven't had crackle cookies in a while! I haven't tried these, but I plan to make them soon. 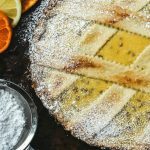 I am in love with these cookies-I've never made them before but I'll definitely be giving these a try soon! I love love looooove fudge chocolate cookies. But I hardly ever have chocolate crackle cookies, which is odd. 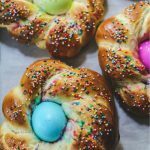 These look really good and cute, and you're probably right: I would probably eat way more than one! I absolutely love these cookies. I made them years ago and they were such a hit. You have reminded me to make them this year for the holidays. 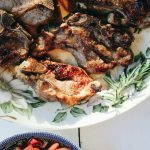 I'll double check your recipe with the one I used. It looks like your cookies stayed more rounded and I like that better. Delicious crinkle cookies love it. Lora. These are one of my favorite cookies to make. I'll have to make sure I add them to my list. 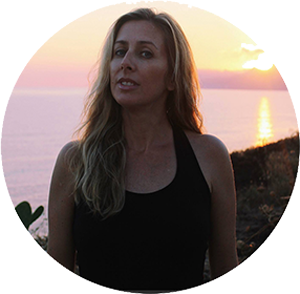 Congratulations on the Redbook feature. Lora, I grew up eating these cookies! 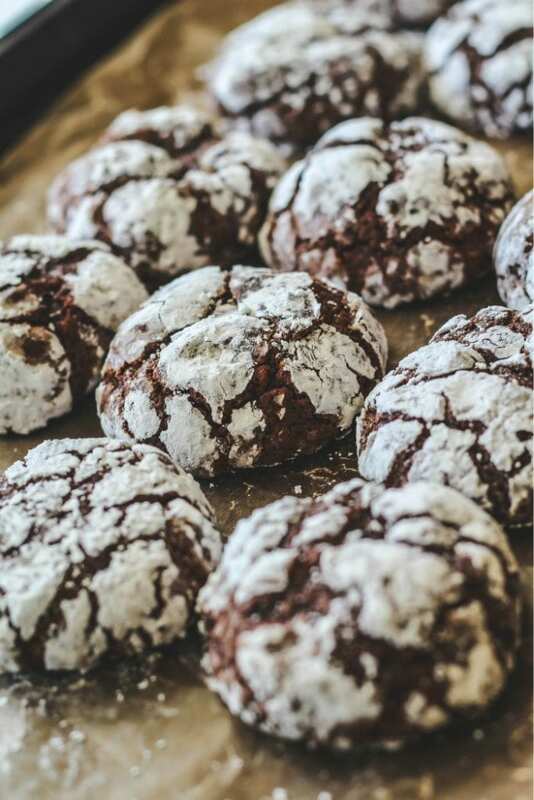 They use to sell these at my school, and I always asked my mom for money to buy them…we called them "chocolate crinkles" back then 🙂 ahhh, those were the days! 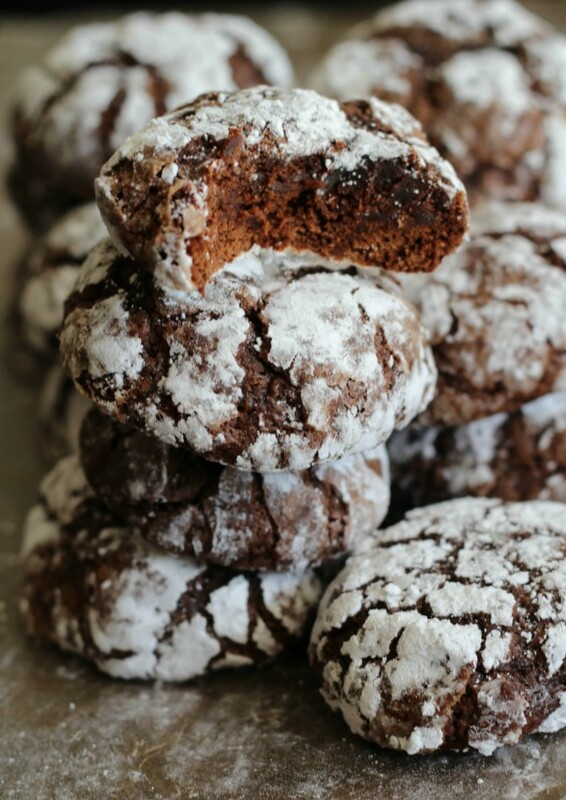 I have always love chocolate crinkles. These look so x'masy and divine! How gorgeous do these look? I've fallen into a bit of a chocolate chip cookie hole recently so would love to try these to mix it up! Those look so pretty, I ll add them to my christmas cookie making plan this year. Thanks for sharing! Your cookies look wonderful! My friend makes them but they are flat and crunchy. Yours look amazing! I absolutely LOVE these cookies! I can't seem to take my eyes off that first picture! 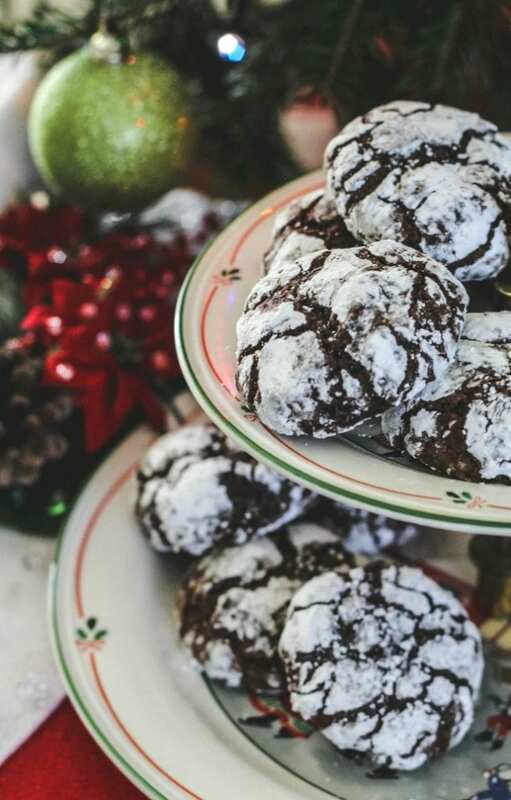 These cookies are indeed a holiday staple, and your look fabulous! Thanks of sharing! I haven't made these for years but love them. And there is something so Christmassy about them, don't you think? Congrats on the Ooey Gooey feature! i haven't had these cookies in forever! They look so fudgy and perfect! one of hubby's favorite cookies are the crackle cookies, every year I have to have some while we unwrap the gifts on Christmas day. I love these cookies and yours came out just perfect! I love this time of year and will be pinning these to make during the holidays! This cookie brings back memories from my childhood. I used to help bake them with a friends mom and we ate a lot of them too. Thanks for the reminder of how good these little cookies are. I need a new cookie tradition and I think this is it for 2012!